I don't know why but my V6II does not work with the x100t proper. Only mechanical shutter is active, silent mode is off, the flash seem to fire but either to late or way to weak. ISO is set to manual. 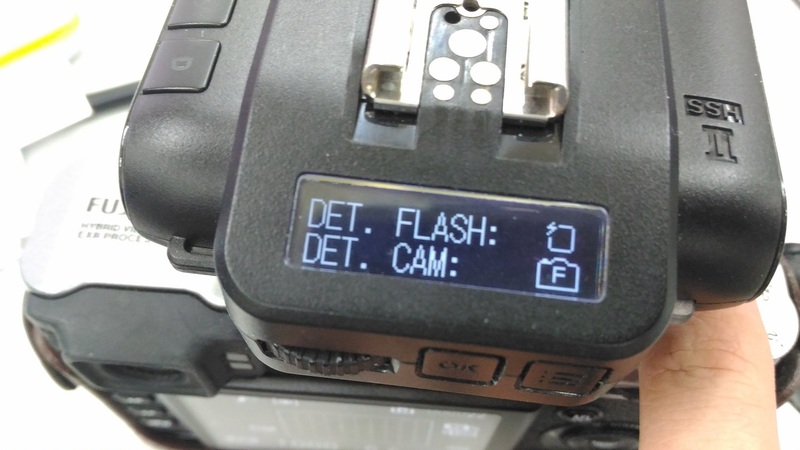 The option to select flash mode for "external flash" dissapears as soon as the V6II transceiver is attached to the camera. Camera of transmitter is set to Fujifilm. I believe the X100T has a leaf shutter. Technically it can support up to 1/1000s even on the original V6 - without setting any camera system. The Forced HSS function is only for the normal shutter system found on X-T1, X-Pro, and the like. Set the Camera system to OTHERS and try again. They do look exactly the same. Hello I have tested on our X100 and I was able to replicate your findings. The problem is, you do NOT need to turn on Forced HSS on a leaf shutter Fujifilm camera. And whether the V6 II auto-detects the camera as Fujifilm or not is irrelevant because even the Cactus V5 and V6 can support up to 1/1,000s using just the centre hot shoe contact. FYI 1/2,000s may be possible too but only if you use a larger aperture. Well, I tried all kind of settings (Camera set to Fujifilm, OTHERS, Auto OTHERS), forced HSS Off, resetted the TX device. Still, it do not work with shutter speeds faster than 1/60s. I even switched the devices. What I normaly use as TX set to RX and vice versa. Not possible to get out results out of faster shutter speed than 1/60s. With my x-pro2 everything works fine , not so with the x100T. When I use other (non Cactus) devices the x100T works as it should. So neither the V6II nor my x100T seems to be broken. @Antonio did you use a x100T or only the x100? We tested on the X100 and not the X100T. What are the difference between the two models? I think both has the same shutter type - that is, when you turn off electronic shutter on the X100T which supports up to 1/32,000s. One thing to check is, whether you see a green light on the V6 II's Status LED blink as you release the shutter. Do you see one when you take a shot? And I suppose you have already set the shutter to Mechanical? As for 1/60s, I could reproduce that when I had the V6 II detected the camera as Fujifilm and turning on Forced HSS. Once I turn it off, it worked up to 1/2000s. Yes I turned off the electronic shutter. Set the TX to others, turned HSS off. When takink the picture the RX LED show up the green light. When I choose "Nikon" as camera system I can go up to 1/1000s but then af on my x100 is not working. Leaving it on Auto OTHERS, OTHERS or Fujifilm did not work. Tested the flash directly on the hotshoe of the x100. It fired and I could use up to1/4000s, so the hotshoe and flash seem to be fine. It must be the cactus or better to say the communication beetween the TX and RX. Don't worry my friend, we are on it. @raychan will test again using your exact setup. Please tell us what flash model are you using on the V6 II RX? I tried the Canon 580ex II, the Canon 430 ex and the Nissin i40. ...I tried the Canon 580ex II, the Canon 430 ex and the Nissin i40. Okay got it. We will test our X100 with those flash models. Thank you for hanging on!! 1. Auto Detect : half press the camera shutter while switching on the V6 II in TX mode. You will see a camera icon with a F on the display (see attachment picture). 2. Manual select: go to V6 II TX menu, camera & flash setup to select it for Fujifilm camera. 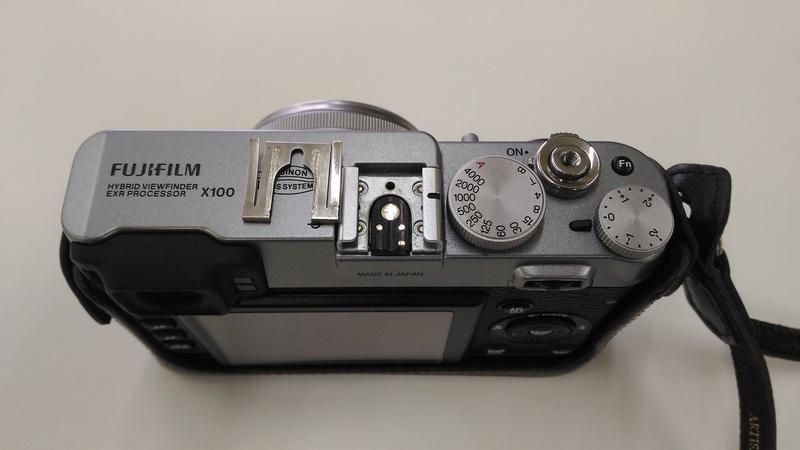 Fujifilm X100 / X100T may have hot shoe alignment issue that interrupts the connection between the V6 II and the camera. To solve it, simply remove the camera hot shoe spring. Please find the instruction video. 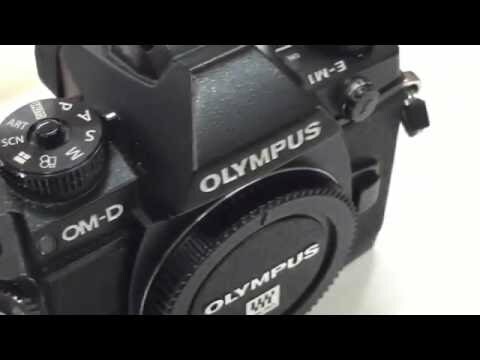 In the video , we used Olympus E-M1. The same idea applies to to Fuji X100 and X100T. Once the system is done, the X100 / X100T with V6II will be able to shoot up to 1/1000s at any aperture or 1/2000s at F/2.0 . Thank you for your reply. I will test this when I am back at home, where I left my camera. The Autodetect worked well all the time although. Okay, next week I will have a chance to test it and will then let you know. I just tried your recommendation. It changed nothing. Still 1/60s is the fastest flash sync. As it worked at 1/60s before I was not very positive this would be the issue. So the contact is givin. There is definetly no sync. As soon as I go faster then 1/60s the flash seems to only send the messure flash or whatever? It is definetly releasing less light as wanted. I hope you will be in the office so that I can show you next week? I will bring my x100t with me. well it seems I could figure it out? I have to set the TX and the RX to manual flash, the flash has to be set to manual as well, HSS must be switched of and tadaaaa: It work. ... and turning on Forced HSS. Once I turn it off, it worked up to 1/2000s. But the flash can still be in TTL mode. You can do remote power control and still shoot at high shutter speeds. I tried it with the RF60 last week and it worked. Our X100 is in the warehouse and they have locked it down already so if you want we can test it for you next week. ... the Canon 580ex II, the Canon 430 ex and the Nissin i40. No problem with the Canon units, just set them to E-TTL mounted on the V6 II. However for the Nissin i40, if it is a Fujifilm version, it will not support HSS. Despite the i40 supports HSS when it is directly mounted on the camera - Nissin's own workaround, when it is mounted on the V6 II, this workaround dose not work when triggered on the V6 II. Thank you and let us know if you are able to remote power control your Canon flash units and shoot at high shutter speeds. I will be in Hongkong tomorrow and planned to visit you Tuesday in your office. Maybe we can test it together then? Iwill have my x100T and the Canon 580ex II and the 430ex with me then. ...I will be in Hongkong tomorrow and planned to visit you Tuesday in your office. Maybe we can test it together then? Wow! Welcome and see you on Tuesday. What time you planning to drop by? I try to be at your office at 11. It was great meeting you today. Thanks again for dropping by and brinigng your X100T in. Unfortunately at the moment, the X100T has a different timing requirement and the V6 II is not compatible. Maybe - just maybe, a future firmware update may fix this. So for the time being users of X100T should use the original V6 instead. You guys don't really need the V6 II since your camera uses a leaf shutter. If you shoot on multiple Fujifilm cameras, a mix of leaf and mechanical shutter, then you should always mount a V6 on a leaf shutter, and V6 II on mechanical cameras. However for off-camera flash units, you would be better off to use all RF60 so you don't have to get different V6 versions to work with the V6 and V6 II. (i.e. V6 TX cannot trigger V6 II RX). I guess the X100T should then be added to the list of cameras that are not 100% compatible in the V6II product description. yes was great for me too to meet you. Do you think within future FW updates the V6 and V6II will support each other better? I would get a V6 for my x100T to trigger the flashes attached on a V6II, but as you just wrote this won't work yet. So maybe with the next Update? Or are you just working on compatibility to trigger a V6 (rx) via a V6II (tx)? This will never work, or at least we will not intend to use it this way, unfortuantely. Only the smarter one (V6 II) can act as a the transmitter while the simpler-minded (V6) as the receiver. V6 listens for a basic signal (analogue). V6 II listens for a complex package of information (digital). This is something a V6 TX cannot satisfy (V6 II RX) and as a result there will be timing / sync problems. ... but as you just wrote this won't work yet. What "won't work yet" is V6 set to RX supporting Power Sync when triggered by a V6 II (TX). Not the other way around. The "smarter one" must be set as TX. This update will be available next month in October. Actually this was the way I would like it to work. But the V6II (TX) and V6 (RX) and HSS won't work? Yes that does not work. See information listed under V6 II's Notes on Compatibility.